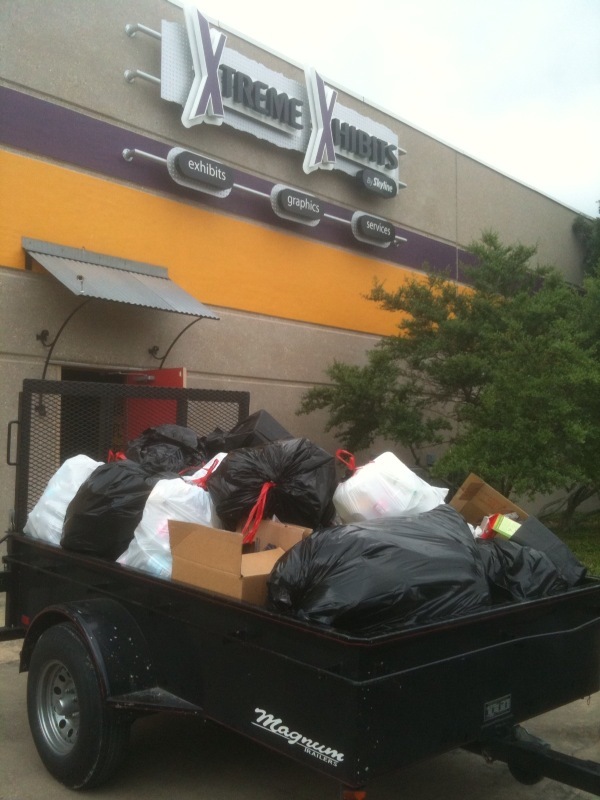 Ecology Action of Texas received approximately 1,500 lbs of recyclables during Xtreme Xhibits’ afternoon trip to their downtown facility. With yesterday’s recycling haul, which included paper, plastic, aluminum, class and cardboard items collected by employees, Xtreme Xhibits has diverted more than 1 long ton of recyclable materials in under a year’s time. Xtreme Xhibits began its own internal recycling initiative in June 2009, and has demonstrated to employees and clientèle alike that small changes can make drastic differences.